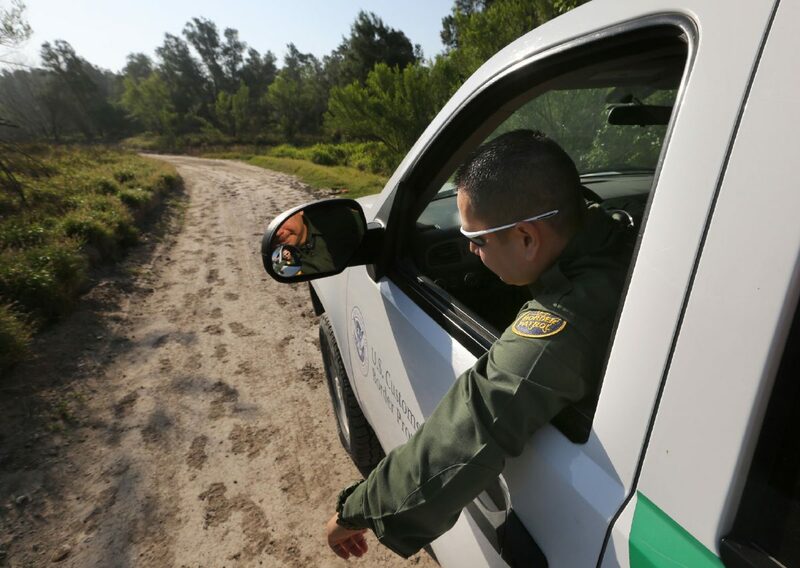 U.S. Border Patrol agent Marcelino Medina looks at footprints in a muddy road as he drives his vehicle Tuesday, April 17, 2018, near the Anzalduas International Bridge in Mission. GRANJENO — U.S. Border Patrol agents apprehended 170 asylum seekers early Tuesday morning within the span of a few hours, according to a U.S. Customs and Border Protection news release. Large groups of migrants, which included family units and unaccompanied children, began turning themselves in shortly after midnight to Border Patrol agents patrolling the area just south of Mission, which sits along the Rio Grande. “It’s a constant flow of (smugglers) bringing raft after raft,” said supervisory agent Robert Rodriguez, who adds it was highly likely the migrants were being brought across the river by the same smuggling organization. “It’s a common tactic; it’s not a coincidence — the smugglers will send massive groups of that size so agents are inundated with dealing with them so (the smugglers) can pass others through,” Rodriguez said. 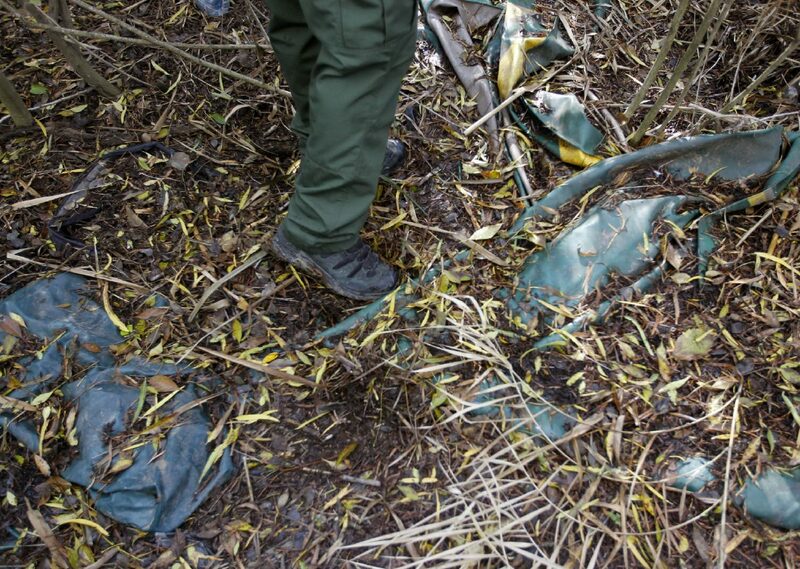 U.S. Border Patrol Agent Enrique Rodriguez walks over discarded rafts used by human traffickers while patrolling the Rio Grande Wednesday, January 3, 2018, in Hidalgo. Border Patrol could not disclose the number of agents who responded to the large group, citing “operational security,” but the news release noted the agents requested assistance from the Texas Department of Public Safety. This is the largest group of migrants apprehended in a single day, according to recent CBP news releases, but Rodriguez said CBP has discovered groups numbering in the 90s in recent weeks, as total southwest border apprehensions increased in August by nearly 20 percent compared to July. Last month, agents in the Rio Grande Valley sector apprehended approximately 7,100 family units and 2,200 unaccompanied minors, according to CBP data, up from approximately 5,200 and 1,900 respectively in July. The migrants apprehended Tuesday were primarily from El Salvador, Guatemala and Honduras, Rodriguez said.